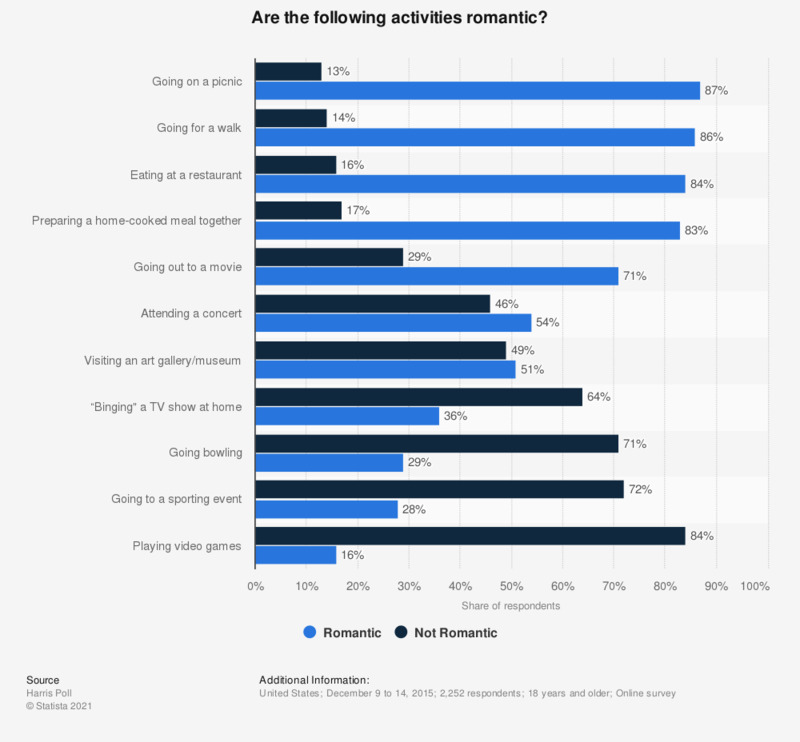 This statistic shows the results of a survey conducted in the United States in 2015 which shows whether respondents find different activities to be romantic or not. Results show that 87 percent of respondents find going on a picnic to be romantic. Everything On "Love in the U.S." in One Document: Edited and Divided into Handy Chapters. Including Detailed References. What types of activities did your most recent romantic getaway inlcude? Which of these items, if any, are off limits on your romantic getaway? Do you agree or disagree that the consumerism surrounding Valentine's Day has ruined the romance? Approximately, how many nights was your most recent romantic getaway? What might encourage you to take more romantic getaways in the future? Where did you go on your most recent romantic getaway, specifically? Women: What tends to make you happy in your romantic relationships?